I have already indicated, in an earlier blog posting, my personal distaste for the arrogant assertions of high-tech venture capitalists, including the venture capitalist who first claimed that "software is eating the world." Marc Andreessen apparently indicated, as he made his now much-quoted observation about software and the world, that we should have nothing but profoundly positive feelings about this hypothesized process. 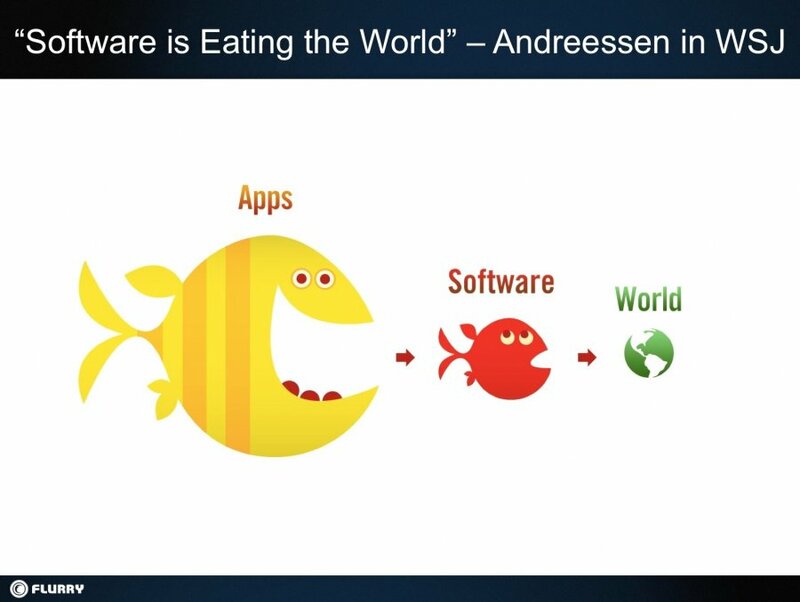 According to the illustration above, "apps" will ultimately eat everything, software included, which doesn't put "the world" in any better position than if it were being threatened only by "software." While I am dubious, in fact, that "apps" will win an ultimate victory over "the world" entire, that doesn't mean I am not disturbed by the possibilities. This "eating the world" metaphor is quite disturbing, and it's most disturbing if "the world" being spoken of is not the social and political world of our own, human creation, but the actual, ultimate World of Nature upon which our human world, and all life, depends. "Eating the world" and "eating up the landscape" are two ways of describing the same thing. Our human civilization is destroying the natural world. 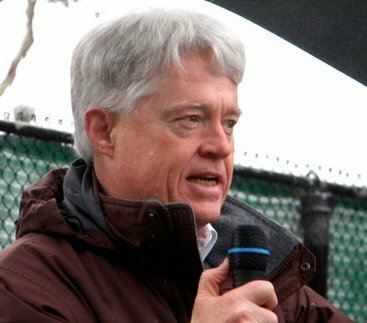 When the Natural World has been compromised too much, all the "software" in the world won't bring it back. There isn't any "app" that replaces the World of Nature. When we have eaten up the World of Nature, upon which all life depends, including our life, nifty software, powerful "apps" and the next round of VC funding is not going to avail us in any way. When we've eaten up the landscape, when we've eaten up the world, we're out of here!